Mr. Pankaj Narain, an esteemed faculty member at IIAD, was recently featured in Pool Magazine for his outstanding work in the field of furniture design. Besides being an accomplished educator, Pankaj is also a furniture designer with special expertise in wood joiners and has over 17 years of industry experience. At IIAD, he teaches Material Transformation to Foundation year students. As part of this module he introduces the students to exciting concepts of material exploration, 3D transformation and furniture design. 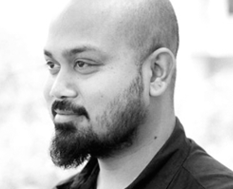 Taking his passion for furniture design a notch higher, he founded the ‘Beehive Studio’ in 2006 that turned out to be an endeavour in explorative design. The studio is also a source of employment for various artisans in and around the capital. In the special coverage featured in Pool Magazine (monthly design magazine published by DesignIndia), he talks about his design odyssey and aspects that help The Beehive stand apart from the crowd.